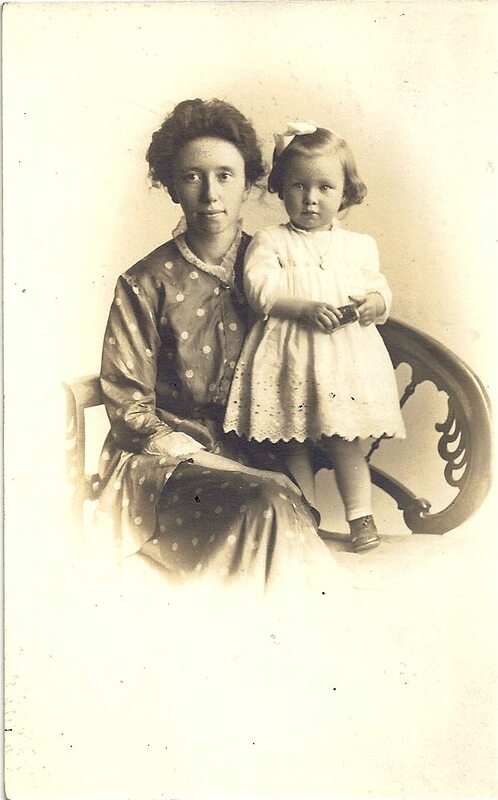 Grandma Dora as a young toddler with her mother. I have a new niece! She was born this past Friday. We got to go to the hospital and meet her. She’s adorable and tiny. Besides the fact that she’s my niece, and I get to love her to pieces, she has something else special about her. Her middle name is Dora, after her Great Grandma. I don’t know if she’ll resemble Grandma Dora at all, but I pray that she’ll learn to honor God with her life, like my Grandma Dora did. A celebratory cake, a recipe out of Grandma Dora’s box, was a necessity for this special occasion! 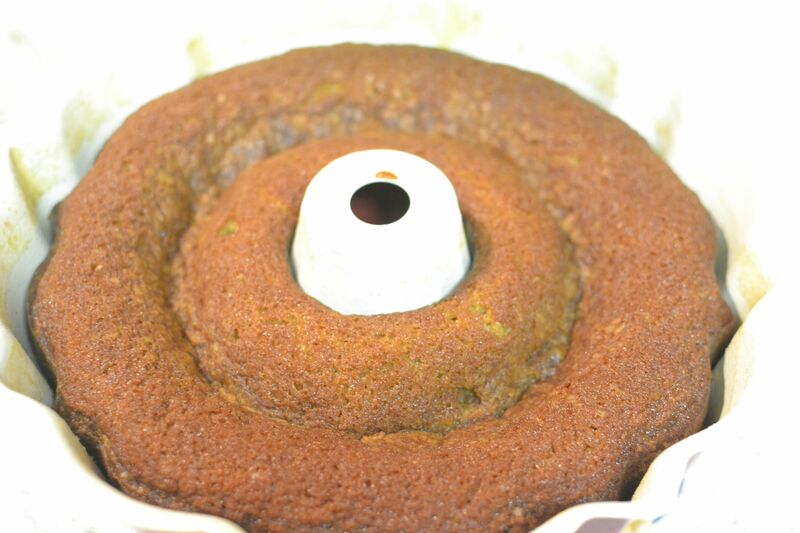 I found a recipe for Brown Sugar Cake, which seemed to suit an October birthday, so I decided to give it a try! Cream brown sugar, eggs, butter and shortening. Mix flour and baking soda in separate bowl. 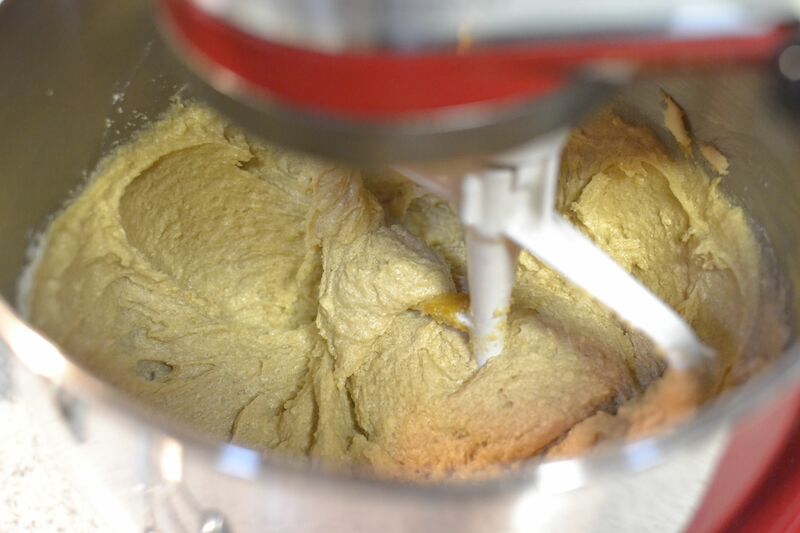 Alternate adding dry ingredients and sour milk into creamed mixture until incorporated. 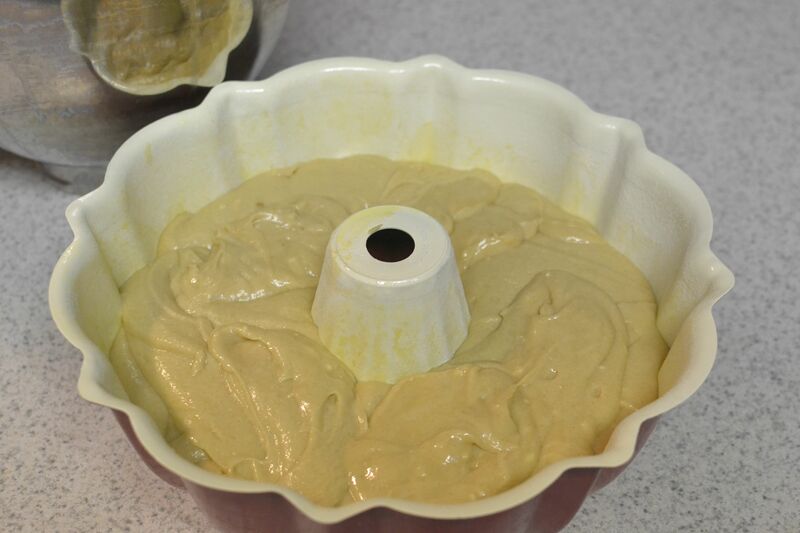 Pour into greased baking dish or bundt pan. Bake at 350 for 45-47 minutes or until an inserted toothpick comes out clean. Cool and frost as desired. 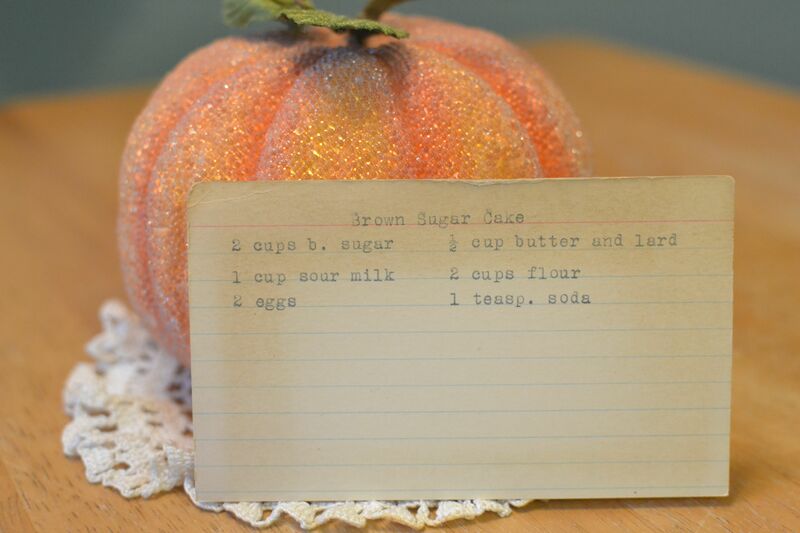 For the frosting recipe, see Brown Sugar Frosting, featured on October 8, 2014. I decided to use a bundt pan because it looks so beautiful when it’s baked and it’s super easy, but appears as though you put a lot of work into it! I greased it GENEROUSLY (I learned my lesson about that the hard way when making Mrs. Magary’s Spice Cake!) and poured in my batter. The oven was preheated to 350, so I slid my pan into the oven. The recipe card didn’t say how long to bake the Brown Sugar Cake. Actually, other than the ingredients, it didn’t say anything at all, so I was doing a lot of guessing. I started the timer with 20 minutes and continued to check it and add time until it was done. Once it got to 47 minutes, I pulled it out. It was a lovely golden brown. I decided that it HAD to have frosting. 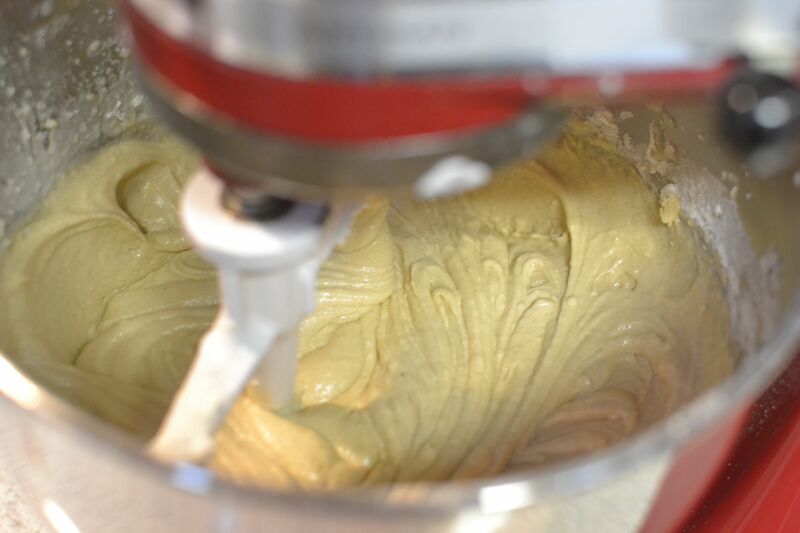 That’s what makes a bundt cake pretty. AND who doesn’t love frosting! When I pulled the recipe out of Grandma Dora’s recipe box, I KNEW what frosting I was going to make. I had recently made Brown Sugar Frosting also, from the recipe box. It was some of the best frosting I’ve ever tasted. As my husband’s friend put it, “That frosting should be on EVERYTHING! I mean, even pot roast and mashed potatoes! 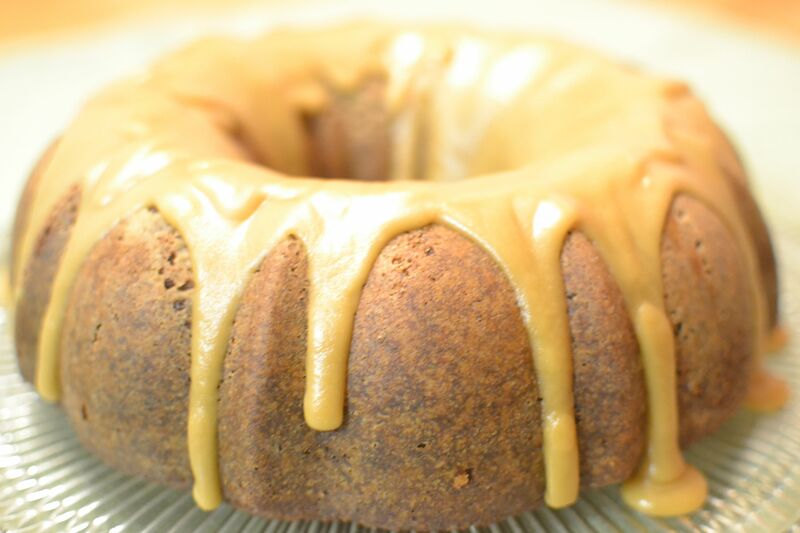 !” With it being a Brown Sugar Cake, what better to frost it with than Brown Sugar Frosting?! I sliced up the cake at our table and we all tasted it! Honestly, it tasted like a DOUGHNUT!! The outside of the cake is thick and is a bit crispy, while the inside is soft. All I could think of to compare it to was a doughnut, but without it being deep-fried. So that makes it healthy, right?! 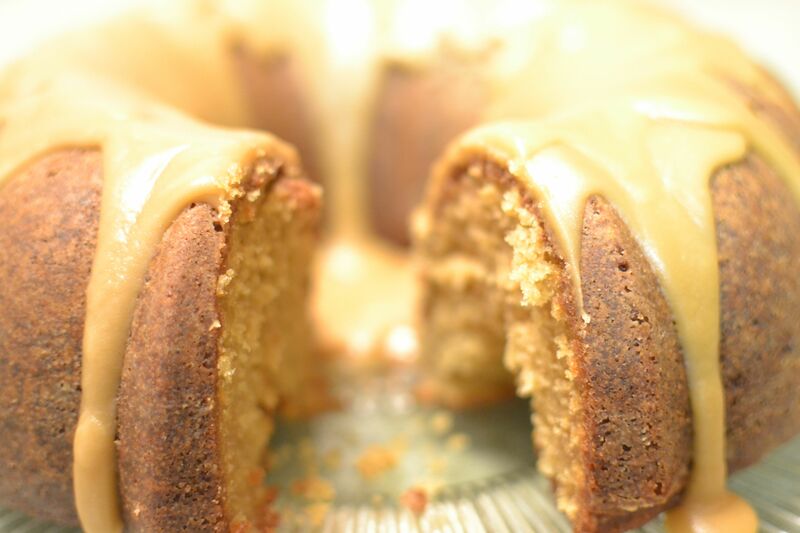 The Brown Sugar Frosting was a great pair for the Brown Sugar Cake. The perfect “Welcome to the World” cake for our new niece! 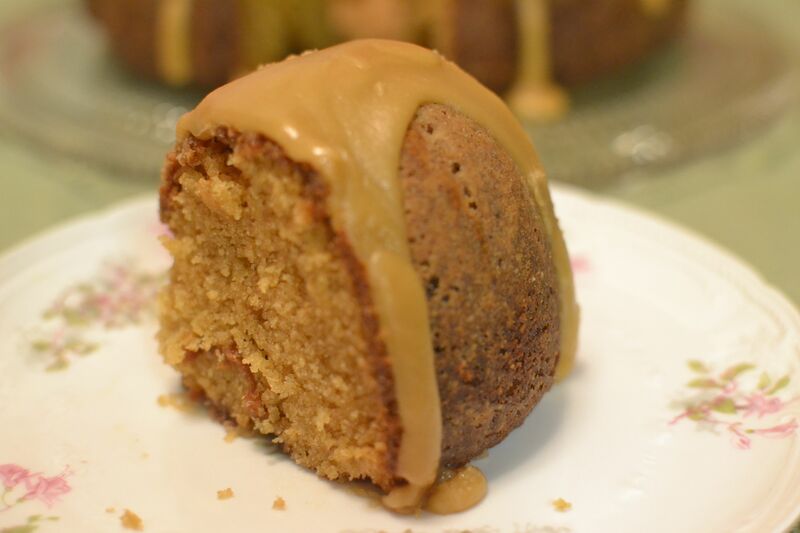 This entry was posted in Cake and tagged baking, brown sugar, brown sugar frosting, cake, dessert, farm cooking, grandma's cooking, homemade, scratch cooking by GrandmothersRecipeBox. Bookmark the permalink.